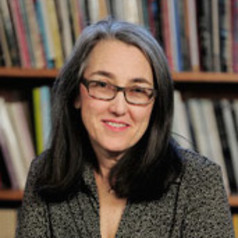 Kate Daniels is Professor of English and Director of Creative Writing at Vanderbilt University. She has published four volumes of poetry – The White Wave, The Niobe Poems, Four Testimonies, and, in 2010, A Walk in Victoria’s Secret, which includes “Crowns,” a poem she wrote for Philip Levine. The White Wave received the Agnes Lynch Starrett Prize for Poetry. Among her honors are a fellowship from what is now known as the Radcliffe Institute for Advanced Study, the James Dickey Prize for Poetry, the Louisiana Literature Prize for Poetry, and the 2011 Hanes Award for Poetry from the Fellowship of Southern Writers. Her poems, which have been anthologized in a number of publications, have appeared in journals such as American Poetry Review, Critical Quarterly, and the Southern Review. She has also edited a volume of poems by Muriel Rukeyser and co-edited the book Of Solitude and Silence: Writings on Robert Bly.